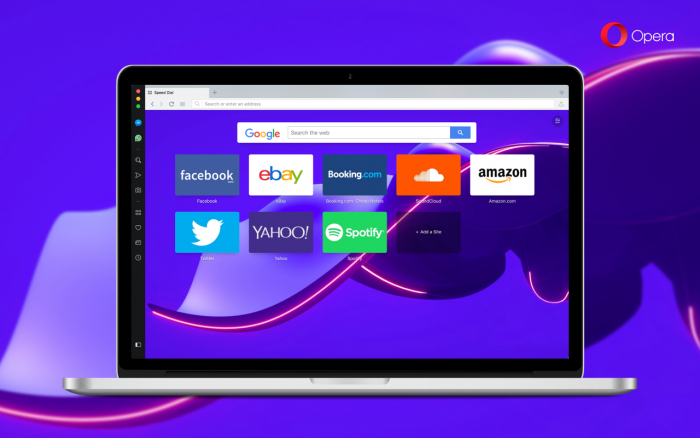 Today we are introducing the initial beta version for Opera 57 and have some updates we would like to share. We are happy to let you know that we have made the news section smarter. 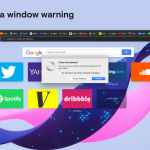 Thanks to an improved, AI-driven news-retrieving mechanism, you will now get personalized news recommendations (once you agree to the terms displayed at the bottom right of the screen). You might also notice another change. Now, if you hover over any of the news stories displayed in the news section below your Speed Dial, you will notice new like and dislike buttons. 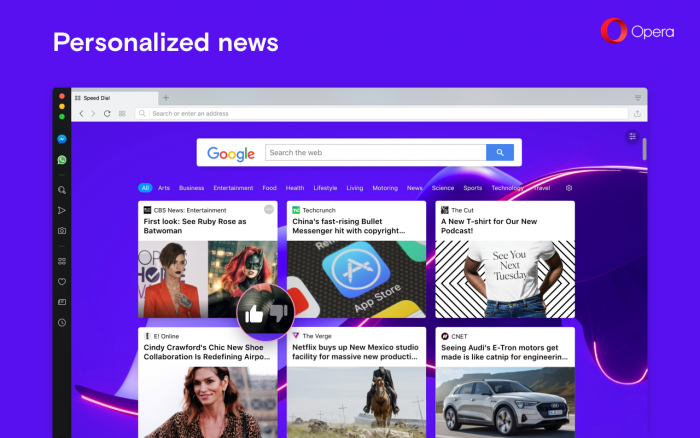 Clicking on them will get you more personalized news in the future based on your likes and dislikes. Many of us face the daily issue of which series to watch next. Well, we have just made it easier for you by placing Netflix recommendations in a special section in the news. That’s where you’ll find out first which series have just been released on Netflix. 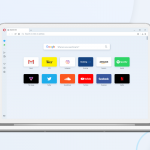 Opera 57 beta will also feature a new styling of the settings page, which has now become more compact. 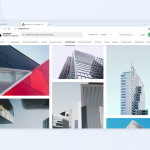 We hope you enjoy your new browser, and let us know what you think!